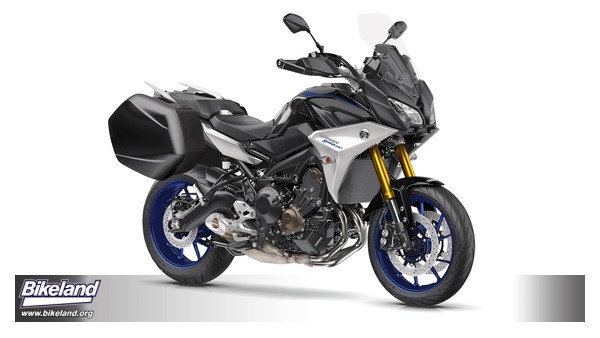 The FZ-07 and FJ-09 get new names and bodies, with the FZ becoming the MT-07 and the FJ-09 being renamed the Tracer 900. Both get new plastics plus a few other minor updates. The MT will arrive March but you'll need to wait till the 2019 model year for the Tracer unless you buy one in Canada as a 2018. 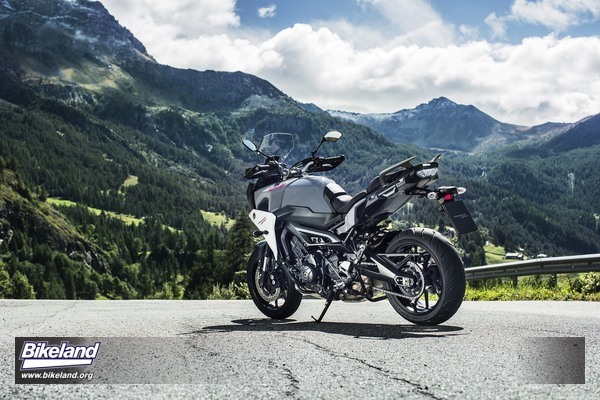 The versatile Tracer 900 Sport Touring motorcycle was introduced today by Yamaha Motor Corporation, USA, and it is set to replace the company’s existing FJ-09 model for 2019. Featuring a number of updates and refinements, the new Tracer 900 will continue to offer performance, versatility and value. Adding to the lineup, Yamaha also unveiled a premium-packaged Tracer 900 GT, which includes color-matched hard side cases, a quick shift system (QSS), cruise control and more. Making tomorrow’s memories on the roads of life. The Tracer 900 motorcycle is one of those rare models that has the ability to excel in almost any role, from long distance touring to sport riding and day-to-day commuting. Powered by Yamaha's much loved 847cc crossplane concept 3-cylinder engine with strong linear torque, the Tracer 900 is extremely enjoyable to ride, and its versatility represents the true spirit of motorcycling. For 2019, Yamaha's team of designers have concentrated on reinforcing the much loved strengths and values of the successful FJ-09 while developing it into the new Tracer 900. They focused on introducing a range of updates and changes that are aimed at enhancing the bike's touring potential, while also delivering an even more refined, high quality product. The Tracer 900 GT comes fitted with quickly-detachable 22-litre color matched Genuine Yamaha hard side cases as standard equipment, allowing for added convenience right from the showroom floor. The Tracer 900 GT is equipped with a premium suspension package that features fully adjustable front forks offering the rider the ability to set their bike up to suit different loads and conditions. These fully adjustable forks come with a beautiful gold finish. The Tracer 900 GT also benefits from the fitment of a cruise control system as standard equipment. It's the same system that's used on the MT-10, and can be set to control the riding speed in 4th, 5th and 6th gear when riding above 31 mph. This system is operated by a switch on the left handlebar cluster, and can be used to increase or decrease cruising speed in 1.5 mph increments. Advantages include reduced right arm and hand fatigue on long journeys, and also being able to maintain a constant speed when riding on hilly or uneven roads. The system is automatically cancelled by the application of brakes, clutch or throttle, and features a resume button that allows the rider to reset to the previous setting. Cruise Control makes longer journeys more enjoyable, and it can help to avoid exceeding speed limits. The Tracer 900 GT is an all-weather, all-season motorcycle that's built to get across continents, and the provision of heated grips is a real bonus for the serious Sport Touring rider. The first 2019 Tracer 900 GT motorcycles destined for the US market are due to arrive in the 2nd half of 2018, and the MSRP will be announced in the coming months. 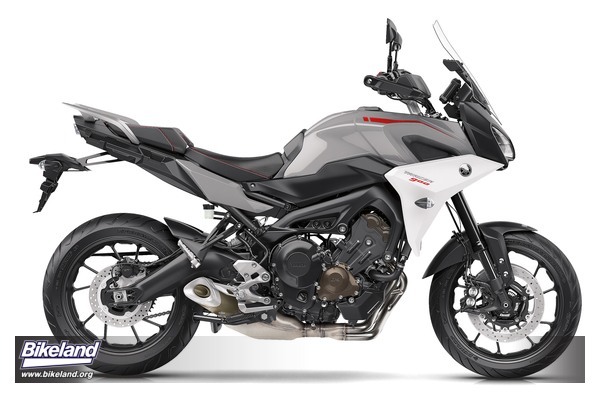 The popular FZ motorcycle series from Yamaha Motor Corporation, USA, was reintroduced today with the MT (Master of Torque) model name for 2018. While the “MT” model name has appeared on various European-spec Yamaha motorcycles since 2005, its replacement of the “FZ” name for US-spec models is part of Yamaha’s ongoing initiative to strengthen a passionate, global community of MT riders sharing the distinctive “Dark side of Japan” inspiration. The MT series models are subject to an on-going development program, and for 2018 Yamaha's designers have created an all-new body for the MT-07 that enhances its appearance and also gives an improved feeling of quality. A newly designed fuel tank cover accompanied by MT-09 style 'air scoops' give a sharper image and reinforce the MT family look. A new seat and more compact taillight, along with a new front fender and black components (handlebar, footrest brackets, shift rod), further add to the look of the bike. 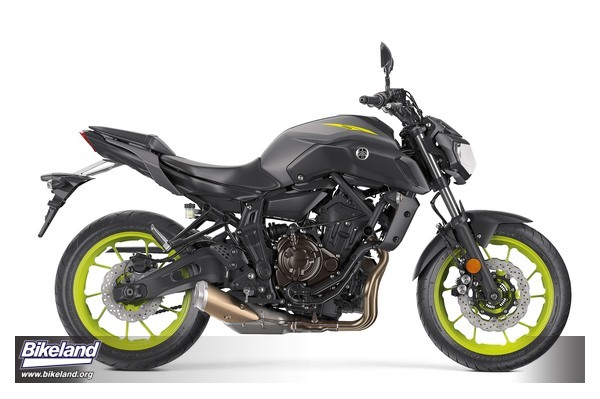 With 130mm travel at both the front and rear, the 2018 MT-07's suspension system is designed to provide a more refined feel and more adjustability, making it ideal for a wide range of riding conditions. The 2-cylinder engine's 270-degree crank gives the MT-07 a pulsating driving force that sets this value-for-money middleweight apart from other models, and this unique facet of the bike's character has helped to make the MT-07 the top choice in its class.